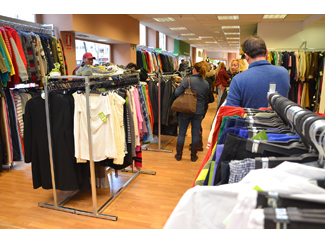 The secondhand sale of clothing has a positive effect in preventing waste and therefore in the environment. Seven years ago, came into effect the Directive 2008/98 / EC (also called Waste Framework Directive or WFD) that has led to a complete revision in the outlook for waste management, setting new objectives and criteria must apply in the countries of the European Union. One of the main establishes a "ladder" with five levels to achieve a more sustainable society: the waste hierarchy. Humana activity fits into the philosophy that it is clear, from awareness to promote responsible consumption of clothing to the final destination of the items that have been collected and sorted. The used textile is technically a residue, but for the Foundation becomes a valuable resource for prolonging the life of the garments is beneficial for the environment and also allows for resources to be earmarked for social initiatives. 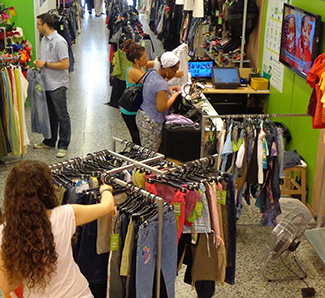 In this sense, the administrations agree that the thrift stores and swap markets are effective for the prevention of waste, since the amount of items that are reused is growing. Against the tendency to produce without worrying about the environmental impact, unbridled consumption with fast fashion as the emblem and send to landfill what we no longer use, legislation commitment to efficient use of natural resources and waste management starting with prevention as pillars of recycling society. With this vision, Brussels adopted in 2008 the Waste Framework Directive or WFD which provides, among other principles, the waste hierarchy. European regulations, and also the Spanish, strengthen the status of the waste as a resource. And also to minimize negative impacts on the environment and health of people, this process seeks to exploit what was previously unusable resources that can be reintroduced into society and circular economy, contributing to an economic partnership and socially sustainable. Humana applauds in the first rungs of the hierarchy preventing and preparing for re-appear, precisely because they are our main activity. Present in 800 municipalities collect 18,000 tonnes annually which makes us the leading manager of textiles used in Spain. More than two million donors place their used clothing in the 5,000 Humana containers or delivered in any of their 36 stores. 70% of recovered textiles is prepared for reuse and three sorting plants get a 90% utilization. In recent years it has significantly increased the offer for sale of second hand clothes in big and medium cities. 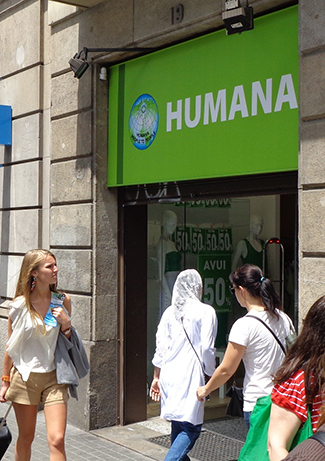 In 2014, for example, Humana stores first exceeded the ceiling million customers. They are consumers who opt for sustainable fashion and do so for different reasons: environmental issues, affordable prices, the rise of vintage trend or social conscience and that the resources generated are used for projects of cooperation and local support .